Each player receives 18 tiles featuring various objects, signs or symbols, picked from one of six sets. Each tile is different from all the others. 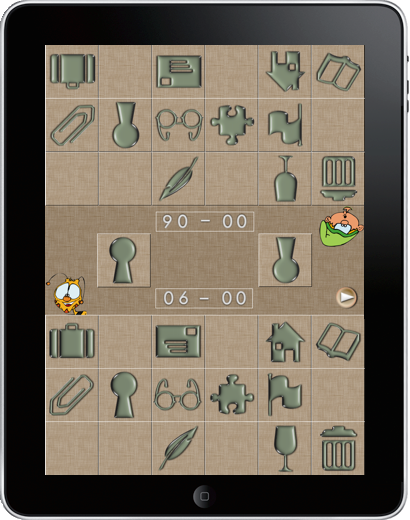 Game 1 : tiles are displayed randomly at the center of the screen ; touch and clear the matching tile in your game. This is the best suited game for very young kids. Game 2 : touch and clear the tiles you have in common with your opponent. 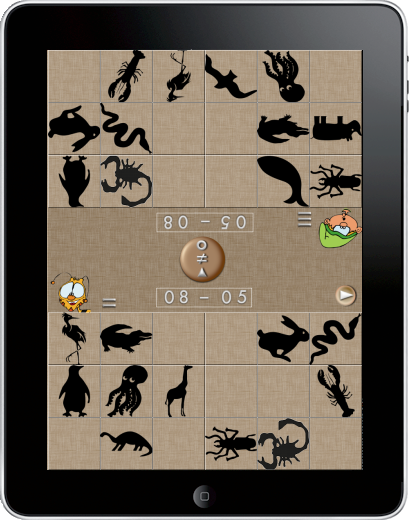 Game 3 : touch and clear tiles which differ from those of your opponent. Naturally, to win, you need to play faster than your opponent, while making the least possible errors.